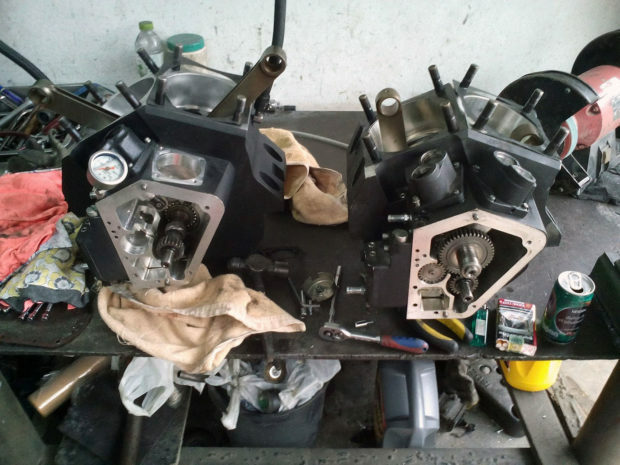 Mario Kleff enjoys building custom motorcycles with large engines. 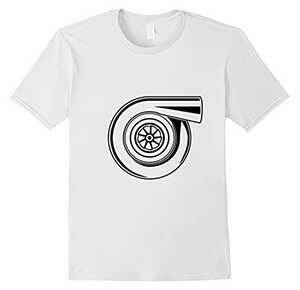 One of his previous creations was a Honda Grom with a Ducati 1199 Panigale R engine. Unfortunately a fuel leak caused a fire and destroyed the bike. 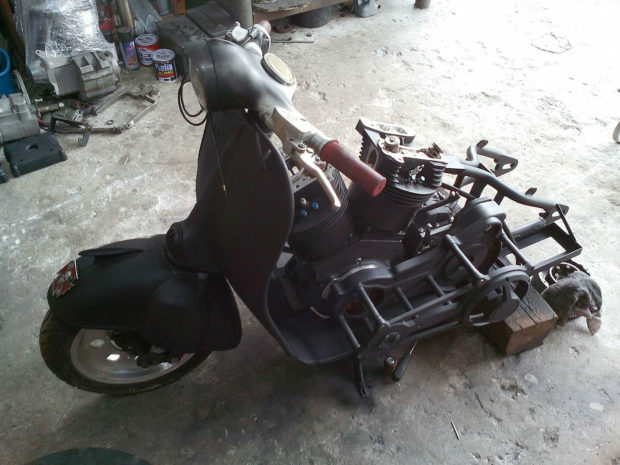 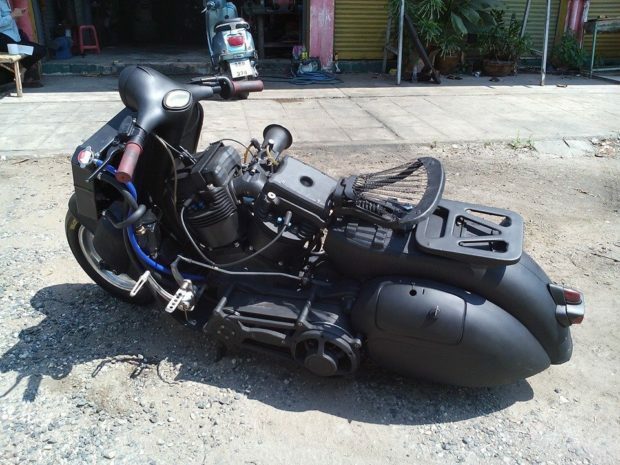 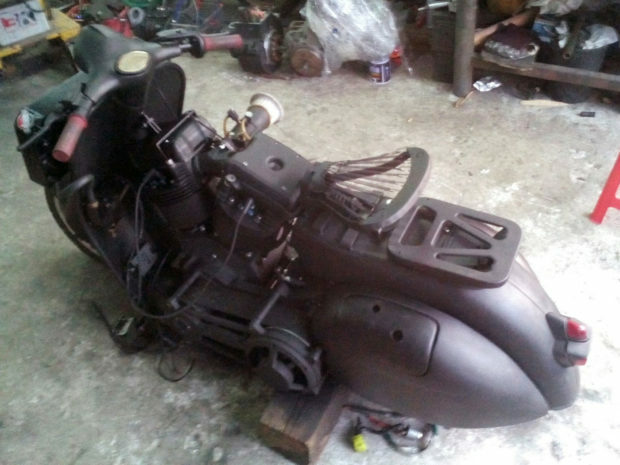 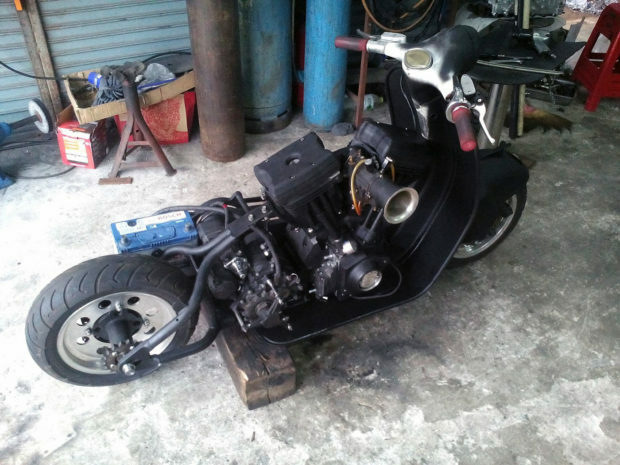 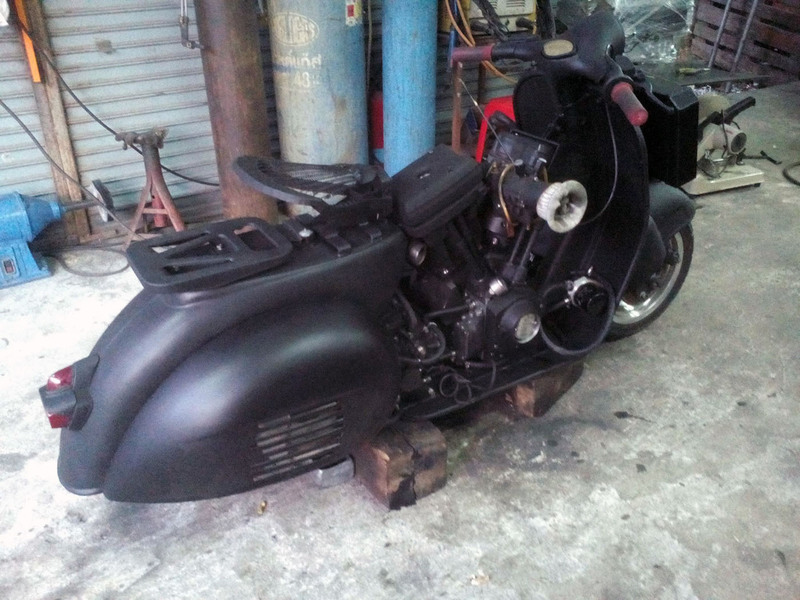 After that he moved on to his next project, a Vespa with a 155 ci V-Twin engine. 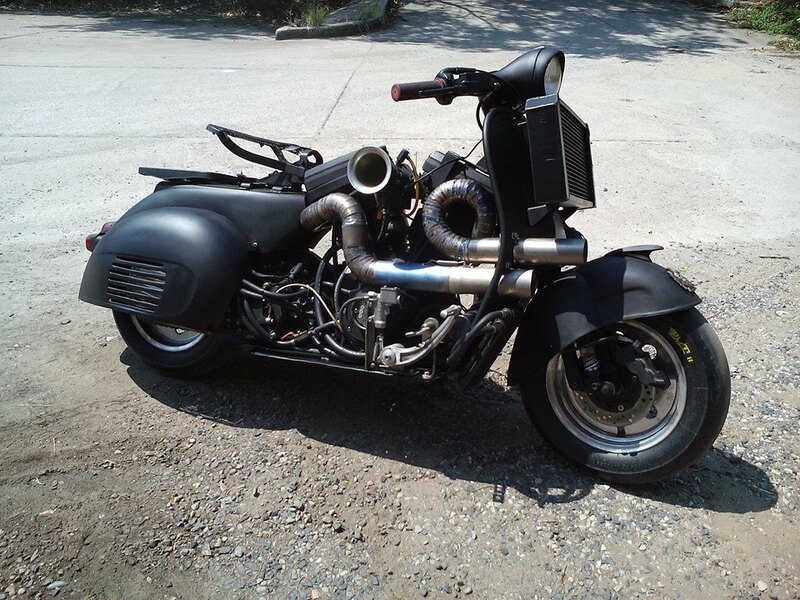 The motor is a water-cooled R&R Cycle 2540 cc V-Twin with upgraded components produces 190 horsepower and 205 lb-ft of torque. 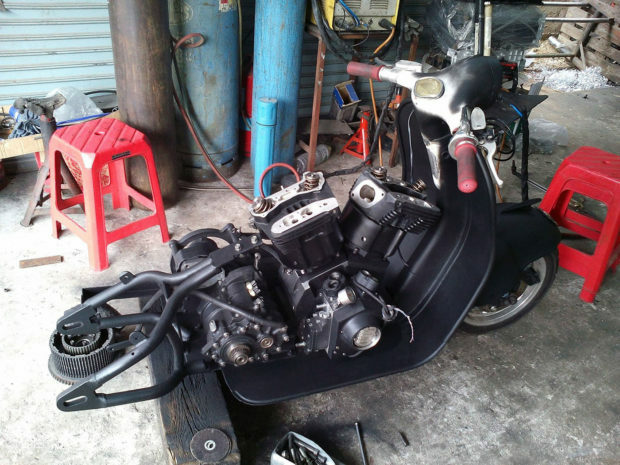 The engine is connected to a Baker Torquebox TB6 six-speed transmission.